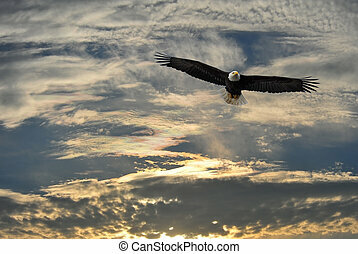 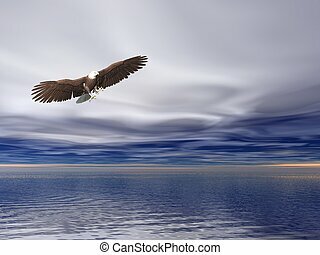 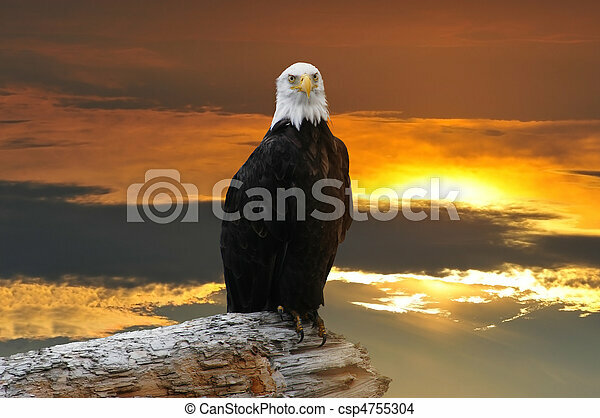 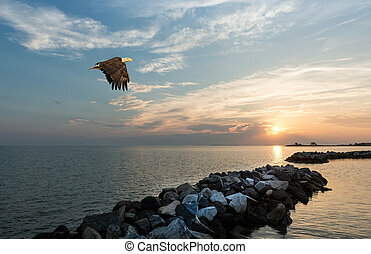 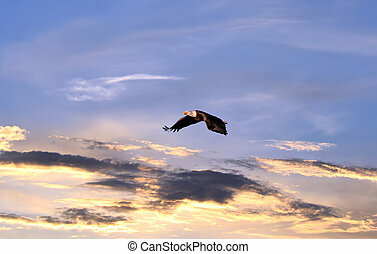 Alaskan bald eagle at sunset. 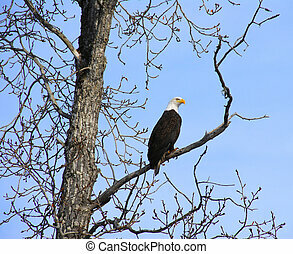 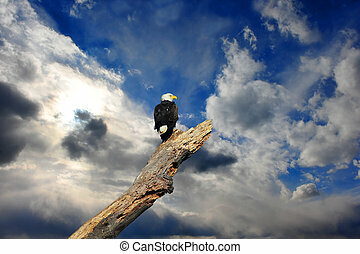 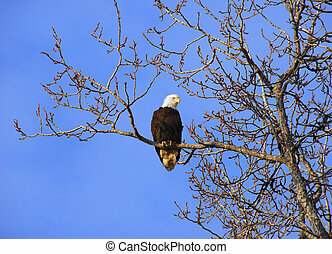 Alaskan bald eagle perched on log at sunset. 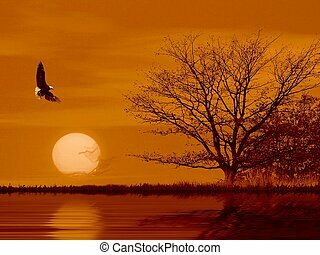 This is a composite of different of my pictures. 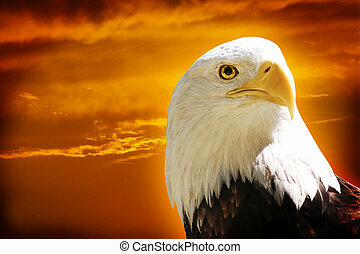 It represents an eagle flying over the pound at sunset. 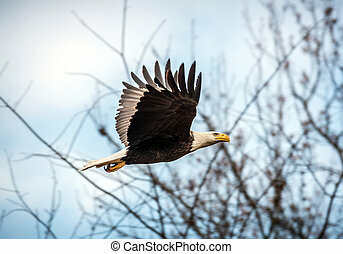 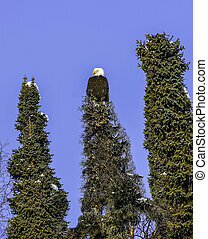 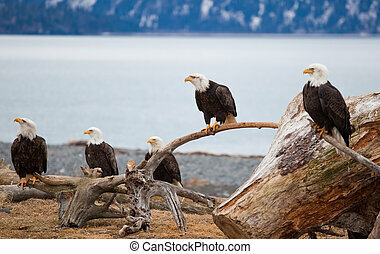 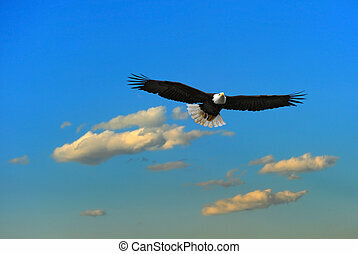 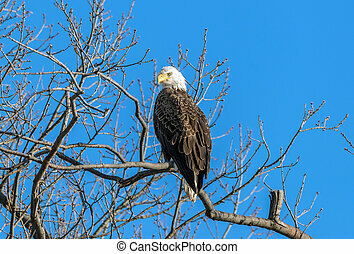 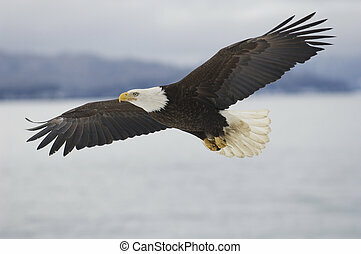 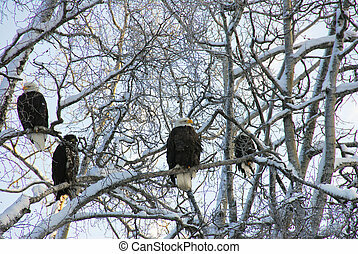 A photo of many American Bald Eagles. 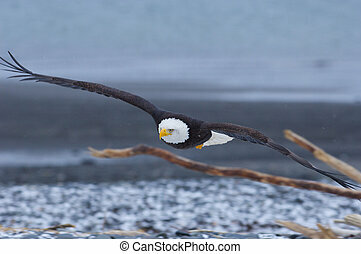 It was taken in Homer, Alaska. 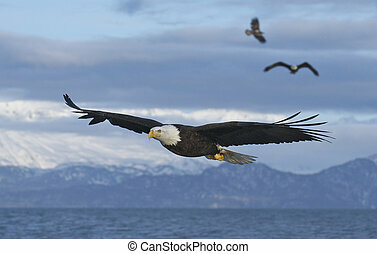 The background is sea and snow covered mountains. 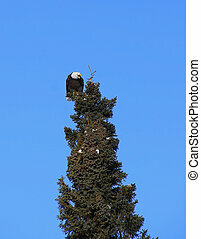 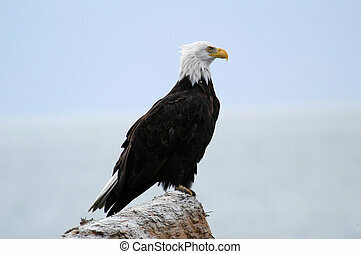 Alaskan Bald Eagle perched on a log overlooking Kachemak Bay, Homer Alaska.